Algae – Algae can cause black or green stains, which can sometimes be confused for stains caused by extractive bleeding from asphalt shingles. Fortunately, a roofing expert can distinguish between the two. Algae stains can be removed through gentle cleaning. Do not power wash your shingles because this can damage them. However, cleaning your roof and removing algae stains is only a temporary solution. The algae will come back eventually unless you take steps to prevent them from returning. As a residential roofing expert, M and A Exterior Home Improvement recommends trimming nearby trees and installing copper or zinc strips along the roof ridge. Lichens – Lichens are one of the hardiest organisms and can grow in very harsh conditions. They are a problem because they have a strong grip on shingle granules. They also hold moisture against the roof surface for a prolonged period, which can damage the roof. Scrubbing can remove lichens from a roof and installing copper strips can also prevent lichen growth. Moss – Like lichens, moss can damage a roof. When shade and cool moist conditions combine, moss, lichen and algae growth is more likely. You can prevent moss growth by following the algae precautions above. Additionally, exposing the roof surface to more sunlight, cleaning the roof with moss killing solutions and installing copper or other metal strips are possible treatments as well. 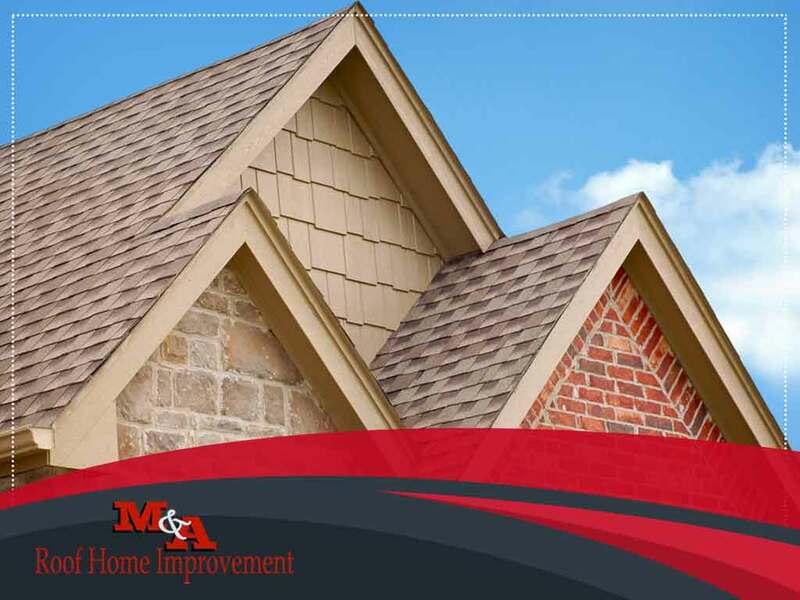 M and A Exterior Home Improvement can help you with your roof repair or roof replacement project because we specialize in residential roofing. Our team and crew have decades of combined experience and we go above and beyond industry standards. Our goal is your complete satisfaction. Call us at (757) 942-2700 to learn more about our services and products or to ask for a free quote. We serve Virginia Beach, VA, and nearby areas.